If you want a unique coffee experience, let me introduce you to The Gentlemen Baristas — another great roaster we are partnering with this month! 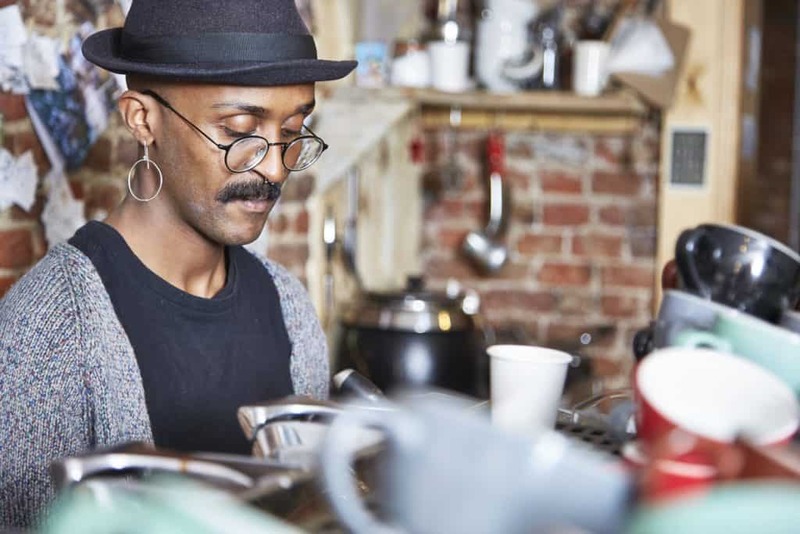 Not only is this a unique coffee experience, but The Gentlemen Baristas have been voted as the coolest baristas by the UK Coffee Stop Awards. So — what makes them so unique and cool? The Gentlemen Baristas was founded by Henry Ayers and his business partner in crime, Edward Parkes. They met at the London Coffee Festival in 2011 and three years later opened The Gentlemen Baristas, where they serve “well-mannered coffee”. But — this coffee shop did not begin there. 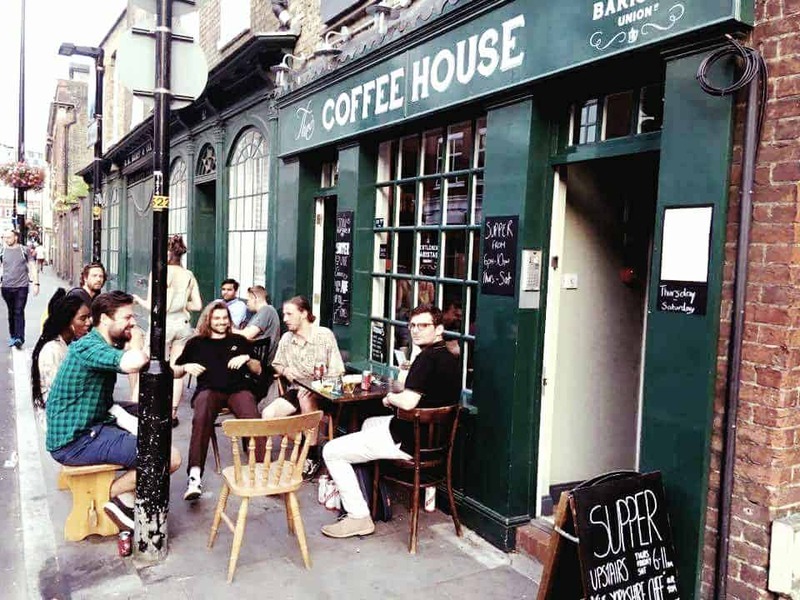 In fact, this London Coffeehouse has been around since 1698, where men came to settle debates and disputes regarding political debates and more. It served people from all walks of life including actors, doctors, and even nurses too. They work hard to capture the spirit of coffee houses of old, offering the best coffee, the best food and the best service that they can. The coffee sold at The Gentlemen Baristas is single origin coffee, which means it is a coffee that’s sourced from one single producer, crop, or region in one country. Single farm and single estate mean that the coffee is sourced from one farm, mill, or co-operative. The important thing about single origin is its traceability. You know exactly where the coffee is from and that it is a specific coffee and not a blend, such as the Boater, which happens to be from Honduras. A single origins flavour profile depicts the origins characteristics of where this coffee was grown. Their new roastery under the railway arches in Shadwell, East London is looked after by Ben Arthur. 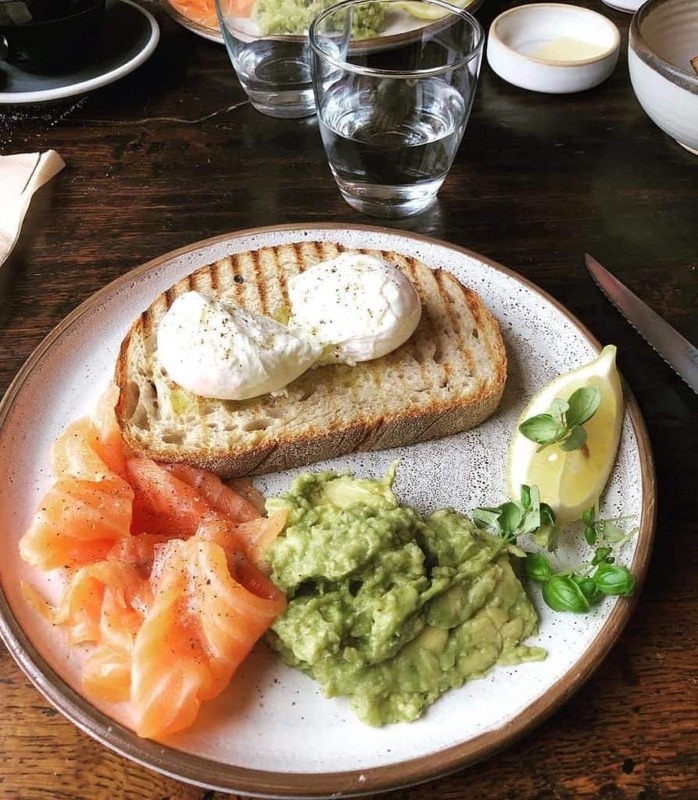 They also regularly feature guest roasters and have released their own brand of coffee, now sold in the famous London department store Harvey Nichols. You won’t be able to miss this eccentric coffee shop and its unmistakable British racing green paint colour, which adds a cheerful vibe to the quiet section of this street. 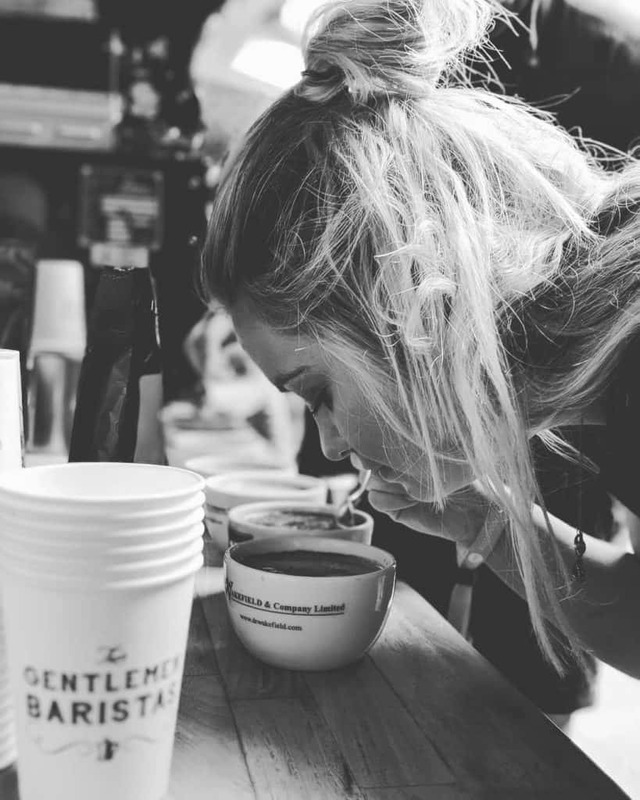 The staff at The Gentlemen Baristas focuses solely on the customer experience — and they want to make sure that from the moment you enter until the time you leave, you are met with a comfort like no other. 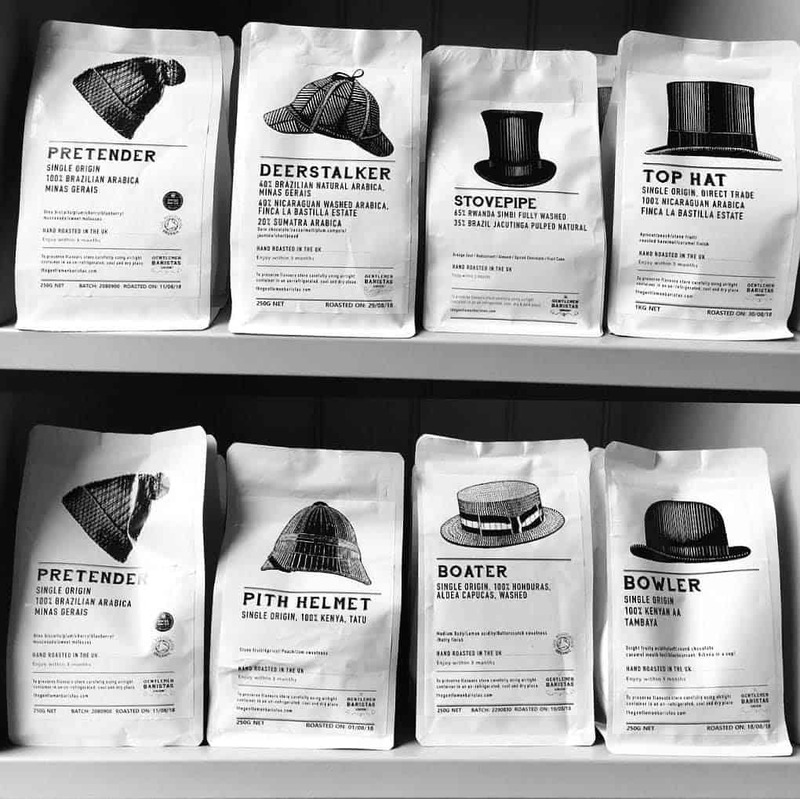 Not only that, but you will find yourself amused at the British uniqueness of each coffee because many of them are named after classically British hats. One of the most popular coffees is the Deerstalker, which is named after the Sumatran crop and Arthur Conan Doyle wrote about Sumatra in some of his Sherlock Holmes books. These coffees and what they offer pays to the customers’ experience inside. On Thursday and Friday evenings, you can head upstairs to the second floor where you will find an open kitchen and a relaxed seasonal sharing menu, with some great wines and craft beers, and on Friday night, you might just catch a little jazz music playing. It is definitely noted that The Gentlemen Baristas are quickly becoming one of the best coffee shops to compete with. They not only have four coffee houses (one is a store) and are expanding to six in the coming months, but they also have a coffee school. Exciting times for the Gents. To learn more about The Gentlemen Baristas, be sure and visit their website. You can also follow along with them on Facebook, Twitter, and Instagram to keep up with all the new blends they will be creating over the year.